Episode 242: ControlTalk NOW — Smart Buildings VideoCast and PodCast for week ending October 15, 2017, features our interview with Ken Sinclair, owner and editor, Automated Buildings. Ken is a true catalyst and harbinger of change, which he believes will involve our full embrace of IoT. 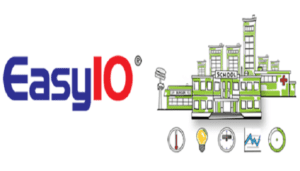 EasyIO releases their FW wireless series challenge; Tridium introduces Niagara Cloud Backup Service and Asset Manager and publishes a White Paper on Niagara in the Industrial IoT; Lynxspring Exchange 2017 Initiatives updates; Siemens’ Ingenuity for Life video; KMC Genius Summit 2018 Hosted at The Langham Luxury Hotel in Chicago, IL, January 18-20, 2018; Acuity Brands Atrius Navigator SDK video; Kele acquires distributor Control Consultants Inc.; Schneider Electric Helping JA World Student Leaders; Optergy’s leadership role in BMS for small buildings; Blue Ridge Technologies’ Completing the BAS – Unify HVAC and Lighting Controls webinar; Honeywell’s President and CEO, Darius Adamczyk, announces portfolio changes ahead; and Stromquist’s Tim Chamblee explains chiller surge. Introducing Niagara Cloud Backup as a Service and Asset Manager now available. Tridium’s latest advancement means you can protect the enterprise from losing valuable Niagara station and configuration data, and manage your Niagara licenses from one online location. Introducing Niagara Cloud, a growing suite of services that can help you leverage the Internet of Things in new and powerful ways. New Lynxspring Edge-to-Enterprise Business Initiatives Announced at the 2017 Lynxspring Exchange and Technology Showcase. Lynxspring, Inc., a premier developer and provider of open, IP solutions for building automation, energy management, IoT, equipment control and device-to-enterprise integration, made several new announcements today at the 2017 Lynxspring Exchange and Technology Showcase Conference being held October 1st – 3rd at the Hyatt Regency Scottsdale Resort & Spa at Gainey Ranch in Scottsdale, Arizona. 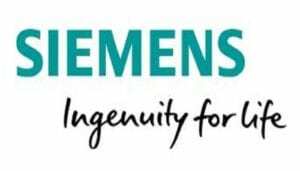 Siemens — Ingenuity for Life Creates Perfect Places. Something drives us every day to make buildings better With people spending about 90 percent of their lives indoors, there is no place where we spend more time in our life. So buildings are far more than just four walls. They are the places where we learn the most important lessons in life, where we encounter the personalities that inspire us, where the best of our ideas are born. Buildings are the places where we spend time with the people we love. And at the end of it all: They are our homes – and there is no place in the world that feels so special to us. 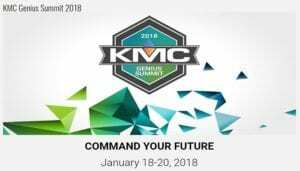 KMC Genius Summit 2018 Hosted at The Langham Luxury Hotel in Chicago, IL, January 18-20, 2018. KMC is proud to present the 2018 KMC Genius Summit, hosted at The Langham Luxury Hotel in Chicago, IL. We’re bringing together our best partners for two days of world-class training sessions and in-depth technical product training. Not to mention evenings of fun and new networking opportunities! Attending the KMC Genius Summit will open your eyes to new possibilities and potentially revolutionize the way you do business. 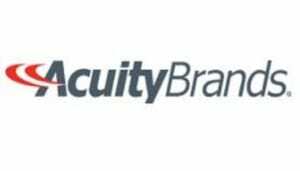 Acuity Brands Atrius Navigator Indoor Positioning and Location-based Platform Service Software Development Kit (SDK). Atrius Navigator platform service Software Development Kit (SDK) unlocks location-based (LBS) and indoor positioning services (IPS) within mobile applications. Acquiring data from your Atrius Sensory Network, Atrius Navigator delivers precise, cost-effective indoor positioning solutions, enabling applications that redefine customer journeys and enhance business operations. Kele, Inc. Completes Acquisition of Control Consultants, Inc. MEMPHIS, Tenn. and BOSTON – Kele, Inc. (Kele) announced today the acquisition of Control Consultants, Inc. (CCI). This strategic combination highlights each company’s long-term commitment to providing industry leading products and solutions to its customers. The combined entity will operate as separate brands, but will leverage the strengths each bring. 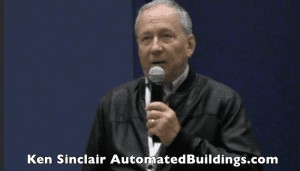 ControlTalk NOW interview with Ken Sinclair, owner and editor of Automated Buildings. Ken is a catalyst and harbinger, whose goal is to inform his readers of the future of building automation. Ken reviews the highlights of his October, 2017 Theme: “People-Powered Transformation, which is another stellar assemblage of industry expertise, insight, and a host of significant interviews and articles. Ken’s editorial message is emphatic and crystal clear: Embrace the change that is coming! Make your plans now! to attend Ken Sinclair’s education sessions at 2018 AHR in Chicago. Schneider-Electric Helping Junior Achievement Prepare Today’s Students to Lead Tomorrow’s World. As a non-profit organization, Junior Achievement depends on help and donations from corporations. To assist the organization, Schneider Electric® and C-Tech Controls donated an intelligent building management system, with installation, for the three Junior Achievement Biztown locations in Tennessee: Nashville, Memphis, and Knoxville. Product Updates, Vital Links, and Latest News from EasyIO’s SK Foo. Hi all! It has been busy for us since the launching of our new products, our wireless range of controller FW series, our server spec FS32 and also our small little green module which converts one Analogue output to two Digital Output the FR-02. Since launching we received overwhelming response from customers and also our partners. We keep improving adding more features to these range of products. Saving Time is Saving Money with Optergy BMS! 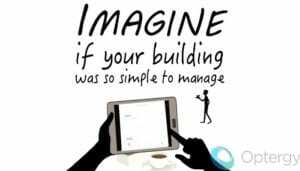 Installing building management systems in small buildings can be very cost effective. For end-users it’s easy to imagine a building you know that often leaves lights or HVAC on when the system really should not be running, it’s not hard to see that small buildings can pile up huge bills. In fact much of the buildings load (~70%) can be controlled simply and economically. Visit Optergy today! Project Haystack Organization Publishes Fall 2017 Issue of Connections Magazine. 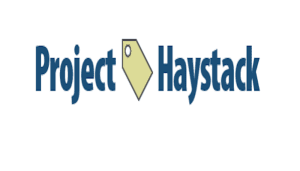 RICHMOND, VIRGINIA, October 09, 2017 — The Project Haystack Organization (www.project-haystack.org), a collaborative community addressing the challenge of utilizing semantic modeling and tagging to streamline the interchange of data among different systems, devices, equipment and software applications, today announced they have published the third issue of their Connections Magazine. Looking for New Business Opportunities with Tridium — Check this out! You are a skilled systems integrator, and if you are like most, it seems like things are starting to slow down a bit or have just gotten more competitive, either way, there is a space that you can take you skills to that is less crowded. 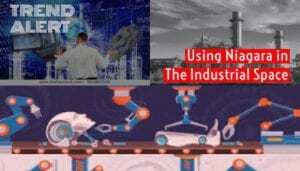 This IIot update, just in from the team at Niagara is worth checking out. How California Title 24 and the other State Energy Codes Effect You and System Design. As a teacher of mine use to say, “nothing is obvious to the uninformed”. 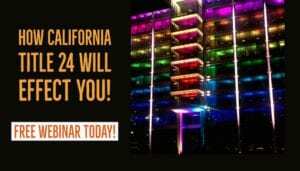 And when getting informed is free and the best of the best is teaching you, it is a time to take action and register now for something that is or will be effecting the smart buildings control pro, which is how lighting control is being changed by California Title 24. 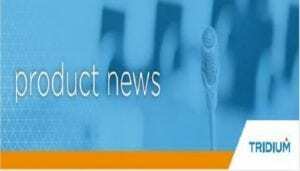 Visit Blue Ridge Technologies Unified Lighting..
Honeywell Announces Planned Portfolio Changes. 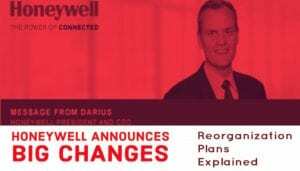 A message from Darius Adamczyk, Honeywell President and CEO. Dear Colleague: Today, we announced several important planned changes to our portfolio that will position the Company for sustainable organic sales growth and margin expansion within a more focused set of end markets. You can read the details about these changes – including our intention to spin off our Homes product portfolio and ADI global distribution business as well as our Transportation Systems business into two stand-alone, publicly-traded companies – in this morning’s press release and in our presentation to investors. Pro Tech Tip: Understanding Chiller Surge. Join, Stromquist & Company’s, master trainer and control pro, Tim Chamblee,as he walks us through chiller surge. Tim teaches you what you need to know about chiller surge, and how to protect your chillers. Tim, with over 40 years in the HVAC service and controls business offers practical tech tips and training, reach out to him directly at tim@stromquist.com, or call him at 1-800-241-9471 to find out about his training classes, or to buy York Chiller parts. Stromquist & Company is a stocking distributor of York chiller parts and would love to help provide these parts when you have a need. Tridium’s latest advancement means you can protect the enterprise from losing valuable Niagara station and configuration data, and manage your Niagara licenses from one online location. Introducing Niagara Cloud, a growing suite of services that can help you leverage the Internet of Things in new and powerful ways. Our first Niagara Cloud offering is available now throughout most of the world, later to be introduced in China. With BaaS, easily configure your Niagara stations to do automated secure backups to the cloud. BaaS is available to Niagara 4.3 users with a current Software Maintenance Agreement (SMA) at no additional cost. You can access device backups and track your Niagara software maintenance expirations using our exciting new asset manager tool, live on the Niagara Community website. Click to view this short video from Tridium University demonstrating how easy it is to get started with BaaS. BaaS provides seamless, secure and scalable backups of Niagara stations to the cloud – 24/7/365 – giving you a fail-safe environment for your data. With BaaS, you can easily configure your Niagara stations to do automated secure backups to the cloud in an IT-friendly way, with a simple approach that reduces the amount of effort for backup management and storage. Be sure to visit our BaaS page for more information. You can find release notes, technical documentation and more on the Niagara Community website in the “Niagara Cloud Backup as a Service” group, here. Niagara Community log in is required. To begin or renew your SMA to receive the current and exciting future benefits of the program, please contact your Niagara partner or the Tridium support team in your region. We’re excited for you to get started with Backup as a Service and benefit from these exciting Niagara 4.3 innovations! BE IN ThE KNOW. GET THE LATEST NEWS FIRST! 2019 Realcomm|IBcon Conference, June 11-14, Nashville, TN. 10% ControlTrends Discount Code Available for End-Users and Integrators!